Believe it or not, warm weather is quickly approaching. We like to save money on our electric bill by turning the air up and using fans to help keep us cool. Although they still use electricity it's a LOT cheaper than running our air conditioner. So we keep it on about 77-78 in the summer. I had the chance to recently try out the 360 Oscillation Tower Fan. It is much larger than I thought it was, but that works perfectly for how much use it will get. The fan comes with a remote and has a digital display. It is incredibly easy to use and you can set it to oscillate 60, 90, 120 or 360 degrees. OR leave it stationery if you wold like. It has 3 whisper quiet speed settings as well. It also has an 8 hour programmable timer. 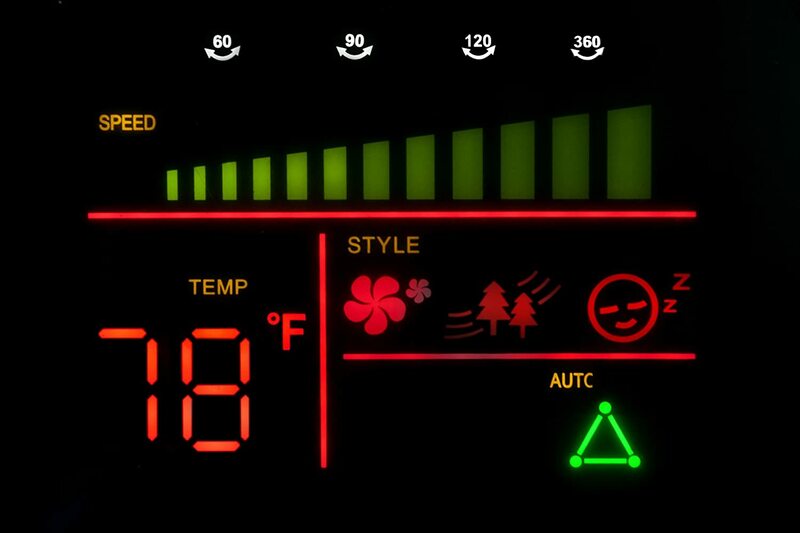 It displays the room temp too which is a neat little feature. I love that it comes with a remote which means I don't have to get off the couch over and over to adjust it and get comfortable. It's easy to control it from anywhere with a clear view of the fan. Which means I can adjust it from my kitchen or my couch/living room with ease. The fan really works well to help cool down the room. Its very tall at 38" so it cools it down quick and has a lot of power to give you some nice air. Overall: ***** Love this fan and can't wait to use it once it gets cooler. This is a very nice Ozeri fan! I like that it is a tower, and stands up like it does and this would be a great fan for me in my office. I will have to take a look at getting this fan! Sleek design! My mom has a similar fan and I love it. It does a really great job of keeping us cool when we visit. Plus, it's not as scary to have around when you have little ones. I will definitely be looking in to getting one of these. We just have one small window AC unit for the bedroom and no AC or central air in our home, so a fan like this would be a big help! We have a heater kind of like this and we love it. I would love to have a fan like this because we do not have central air.